Aaron is a fan of Blair. Aberia is a fan of Blair. Adusha is a fan of Blair. Aglaia is a fan of Blair. Aiika is a fan of Blair. Aina is a fan of Blair. Aislinn is a fan of Blair. Ai~ is a fan of Blair. Alex is a fan of Blair. 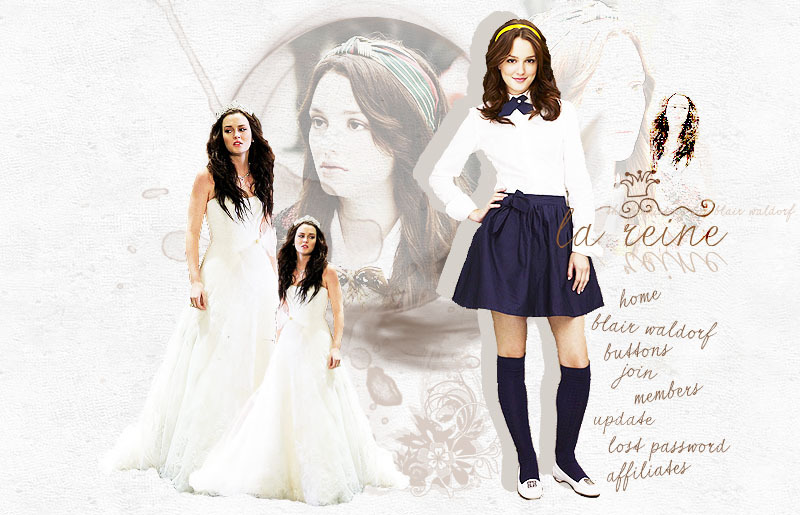 Alexa Vittoria is a fan of Blair. Alexandra is a fan of Blair. Alexia is a fan of Blair. Ali is a fan of Blair. Alice is a fan of Blair. Alissa is a fan of Blair. Allie is a fan of Blair. Ally is a fan of Blair. Amanda is a fan of Blair. Amelia is a fan of Blair.